Enter The Independent Coloring Contest by shading your favorite drawing from the Summer Camp 2015 story with your favorite hues. 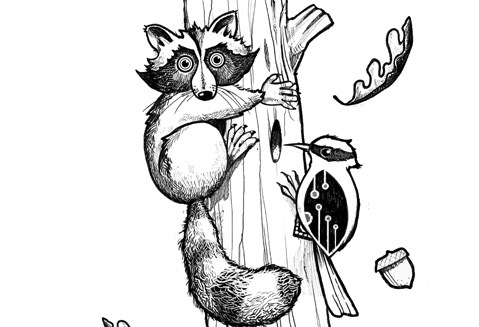 (You can download our raccoon cover for coloring below.) Send your entry to The Santa Barbara Independent, 122 West Figueroa Street, Santa Barbara, CA 93101 — or send scan or digital photo to contest@independent.com — by Thursday, April 16, to win a big box of crayons! Please include your name, city, and phone number. The winning drawing will appear in an upcoming issue.